Solid Ground is the newest adult small group at St. Paul’s. 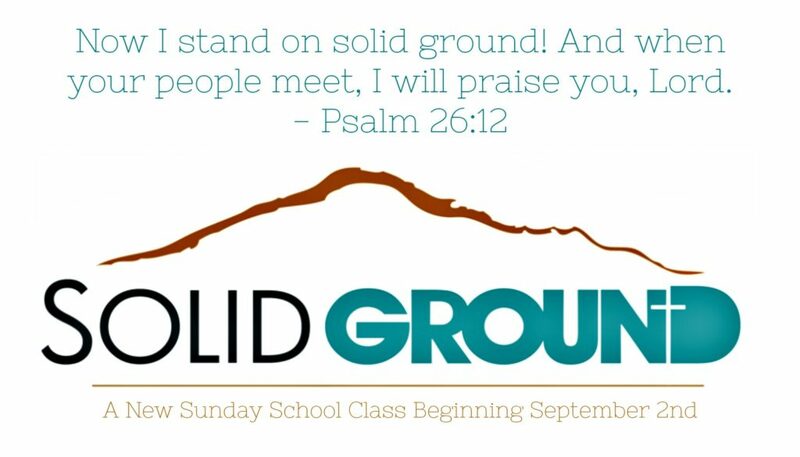 Solid Ground meets every Sunday at 9:30AM for an in-depth and enlightening study of the scriptures. Bring your bibles and compare translations with other group members. Solid Ground is led by Tate Monroe. This class is best for young adults through senior adults. All are welcome.